What is the personal cost of student protests? Former student activist, Simamkele Dlakavu, says protests are often romanticised, but they come with personal costs. The psychological trauma that leaves those on the frontlines of these movements damaged and scarred for life is not often highlighted. Dlakavu was speaking at the launch of an art exhibition themed: Insurgent Citizens, held at the Nelson Mandela Foundation in Houghton, Johannesburg. She says many of the student leaders who lead the protests have been scarred for life. She recalled an encounter with a fellow activist whom she had seen in 2016, after their involvement in that struggle. Professor Thuli Madonsela also weighed in on the struggles faced by those involved in the #feesmustfall movement, saying her daughter’s involvement in the movement had left her with many questions. 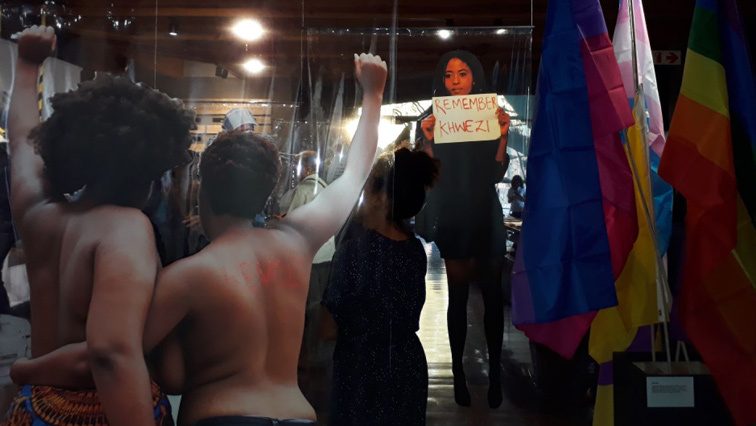 The exhibition which looks at some of the most recent protests in South Africa, including Fees Must Fall, Marikana and Rhodes Must Fall, is currently running at the Nelson Mandela Foundation. The post What is the personal cost of student protests? appeared first on SABC News – Breaking news, special reports, world, business, sport coverage of all South African current events. Africa's news leader..